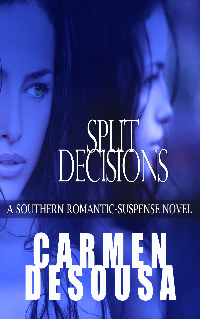 Carmen DeSousa: Romance, Passion, Suspense...and not one cliffhanger in sight! 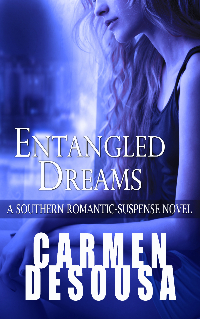 Romance, Passion, Suspense...and not one cliffhanger in sight! 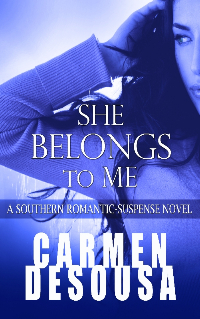 All the novels in the Southern Romantic-Suspense Collection are stand-alone stories--NO CLIFFHANGERS--but each book has a slight connection to one of the other books, so after reading one, you can continue the journey and meet different protagonists with different issues and tragedies to overcome, and yet still get a glimpse of your previous friends. Every story has a mystery, there’s always a gentle message, and above all, there’s always romance and suspense. Books are listed in order of release date. North Carolina and is always priced 'less than a latte' aka $4.99! rainbows and tiaras. The struggling knight in shining armor will make you swoon, though. And it's always priced right at only $2.99! 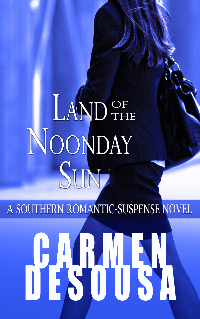 Welcome back to another romantic mystery set in Nantahala, NC aka Land of the Noonday Sun. This twisting and turning whodunit is always $2.99! 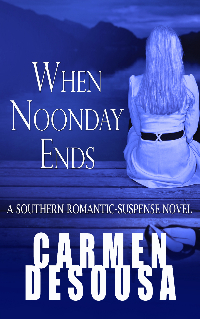 Romantic Suspense with a Twist! If you like stories that make you ask, "What if? ", this follow-up novel to the #1 bestseller She Belongs to Me is always priced 'less than a latte'!